It is our mission to provide education and comfort to children and families living with cancer and by hosting a fundraiser or special event, you can help us achieve that mission. Fundraisers are a great way for individuals and businesses to get involved with our program and to help spread awareness to their community. Please know that we are always willing and excited to provide guidance for your event, however, we unfortunately do not have the personnel to handle administrative tasks of third party events. Examples of these tasks include distributing invitations, processing RSVPs or selling tickets. Below you will find more information about guidelines for special events, benefits or promotions. If you are planning a sporting event, it is a requirement that all participants sign a waiver or release form. Any item(s) you are planning to sell as a fundraiser for Gabe’s Chemo Duck Program must be safe and non-controversial in nature. 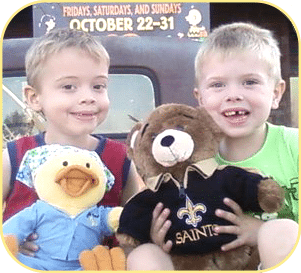 The public should be informed of the dollar amount or the percentage of the sale that will be donated to Chemo Duck. The organizer of the event should be ready to create publicity for this event and manage all volunteers. All promotional material related to the event benefiting Gabe’s Chemo Duck Program must be reviewed and approved by Gabe’s My Heart prior to its production and distribution. This includes, but is not limited to, invitations, press releases, newspaper or newsletter articles, merchandise, etc. As organizer of the event, you are responsible for complying with IRS regulations for this event. IRS regulations governing charitable deductions are quite specific. Participants may make checks payable to the organization that is hosting the event or directly to Gabe’s My Heart. Please note that organizers of events may not offer underwriters or donors the option of writing checks to Gabe’s My Heart for tax purposes. In order to fulfill our own accounting requirements, we request that you provide us the event proceeds and details of the accounting within 60 days after the conclusion of the special event. You may also find all of the information listed above in the downloadable Event Guidelines Form.